Issue #1 of a new four issue mini series is on Kickstarter! Set in the city of New Orleans, an action-crime-drama comic mini-series. Our pitch is this: When Brett’s ex-girlfriend asks him to go to New Orleans to find her runaway sister, Bobbi, he stumbles on to a human trafficking operation run by Ms. Johnson, known on the streets as The Widowmaker. Brett has to figure a way to rescue Bobbi, and maybe take down the entire organization. Fresh out of the police academy, is he up to the task? Brett will seek the help of his friend, Jesse, an officer on the New Orleans police department, and will also receive help from … some unusual sorts. 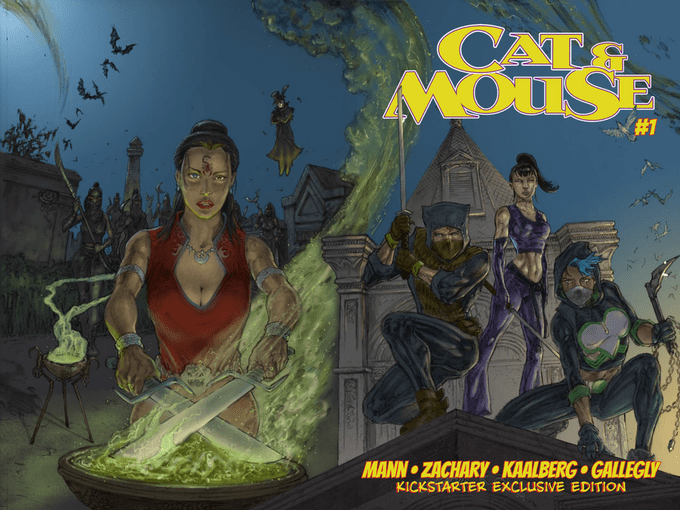 This kickstarter is for the FIRST of four issues. The cool news is that as of launch, we’re nearly finished. We should actually finish by the time the campaign is complete, and—of course–we’ll be posting regular updates for you to follow along as we go. $4 gets you a no frills PDF version of the comic with the standard cover without any extras.